You are here: Home / Great Deals / Tri-Blend Raglans Just $12.99! Down From $24! Shipped! Through February 2 only! 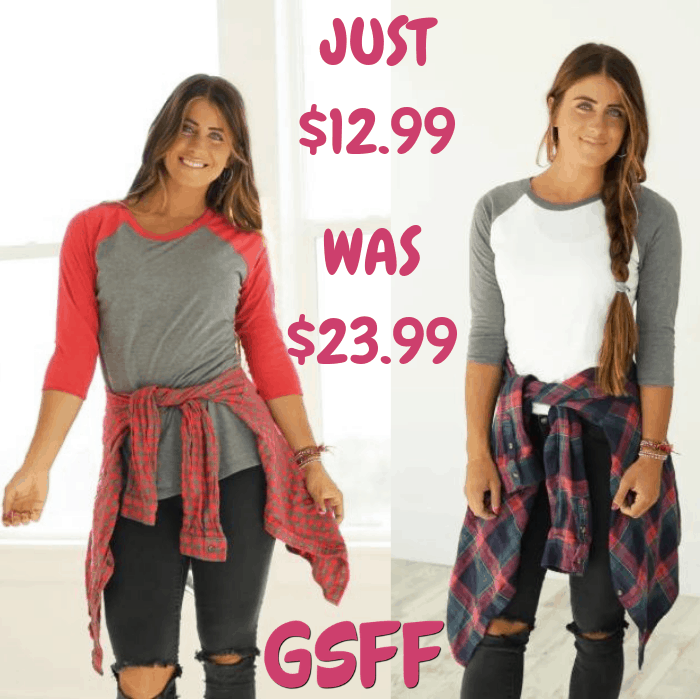 Hurry over to Jane where you can score these Tri-Blend Raglans for just $12.99 down from $23.99 PLUS FREE shipping! This is the perfect raglan! It is so easy and effortless and its tri-blend material makes it very soft and comfy. Could easily become your favorite piece of clothing in your closet! It is available in 7 different color options.